For millions of couples, infertility can be one of the most stressful situations they deal with in their relationship. In fact, some say it can be as stressful as dealing with a fatal disease such as cancer. For many, in vitro fertilization is the answer to their prayers. It can help them realize a healthy pregnancy, but the treatment is not a simple one and can often be a source of even greater depression and anxiety. By adding yoga to the mix, though, women may be able to reduce the stress and go through the treatment with a more positive and accepting outlook. Vani Valoriani and colleagues from Italian Careggi University Hospital have long believed in the power of hatha yoga in helping couples going through in vitro fertilization reduce their stress and increase their resiliency. The group at the infertility clinic has included yoga as part of a support program for couples even before beginning in vitro fertilization. To test the belief that yoga can play a significant role in reducing stress for this group and preparing them for the often long and arduous in vitro fertilization protocol, Valoriani and colleagues performed a pilot study to formally examine to benefits of hatha yoga on stress reduction in women before beginning in vitro fertilization. While most yoga practices are intended to bring the practitioner into the present moment and calm the fluctuating thoughts of the mind, hatha yoga specifically focuses on the breath and using it to induce a state of calmness. Hatha teaches that the mind and body are intimately connected. Hatha comes from the Sanskrit terms ha, which means sun, and tha meaning moon. What this means is that hatha connects pairs of opposites. Through physical movement and breathing exercises, hatha aims to bring the body and mind into balance. Additionally, the physical postures improve muscle strength, flexibility, blood circulation, and can even help balance hormones. The breathing aspect of the practice deserves equal attention for its benefits. A person in a state of stress tends to have a shallow and fast breath that usually initiates from the thorax. On the other hand, someone who is calm—or who is practiced in pranayama—will breathe from their abdomen with long, slow, conscious breaths, which brings the body and mind into a steady state. According to researchers, practitioners of hatha yoga have reported improved resiliency in stressful conditions, which, of course, infertility treatments can be. Valoriani and colleagues recruited 143 women in their clinic who sought help at their clinic for infertility. The women were given the option to complete a self-assessment about their emotional well-being and then take part in the free hatha yoga classes as they waited the three months for their treatment to begin. Before starting the practice, the women were assessed for their levels of anxiety and depression as a baseline measurement for comparison throughout the study. The group of women was around 36 years old and had struggled with infertility for an average of four years. Throughout the study, the women who accepted the invitation took part in a 90-minute practice twice a week for three months. Of the 143 who signed up for the study, 45 agreed to take part in the regular yoga sessions. Of those who were invited, the women who decided to take part were more likely to have higher stress levels prior to their treatments as compared to the women who opted out of the yoga practice. Each class consisted of 25 minutes geared towards removing tension throughout the body, the next 45 focused on the asanas, followed by a final 20-minute savasana. Postures included Cobra, Child’s Pose, Forward Fold, Cat/Cow, Butterfly, and spinal twists. When the two groups were re-assessed at the end of the study, those who had completely the biweekly hatha yoga practice reported a reduction in their stress levels. Interestingly, their stress levels in the end were comparable to the stress levels of the women who felt they were not in need of psychological help from the beginning. A similar study by researchers at the Fertility Centers of Illinois found that a six-week vinyasa-style yoga program reduced stress in infertility patients by about 20 percent. Overall, researchers found that women experiencing high levels of distress before undergoing in vitro fertilization may be eager to get psychological help, and hatha yoga could be the perfect solution. In their study, the women who started out with a high degree of emotional stress reported a reduction in emotional distress as well as anxiety and depression. And these benefits manifest not only in their in vitro fertilization treatment but in their daily lives too. This particular study was clearly a small one, but researchers say their findings warrant further research with larger study cohorts and over a longer period of time. The Illinois researchers noted that around 30 percent of in vitro fertilization patients struggle with anxiety and depression. This distress is often the reason patients discontinue the treatment protocol. A practice such as hatha yoga that provides a way to relax the mind and body, improves breathing, and provides support is worth considering for what it can mean to helping patients go through the protocol and hopefully experience the beauty and joy of pregnancy at the end. As with any medical condition, it’s important that women who are considering in vitro fertilization or undergoing in vitro fertilization should talk to their physicians before beginning any practice to make sure it’s safe for their bodies. Study with YogaUOnline and Sue Elkind - Prenatal Yoga Essenials for a Healthy Pregnancy & Birth. Another article from YogaUOnline and Liz Rosenblum: Dealing with Stress During Pregnancy - How Yoga Can Help. Liz Rosenblum found her way to the yoga mat as a way to find peace and calm in her crazy former life as a journalist and these days as an Account owner for one of the world's largest ecommerce websites. 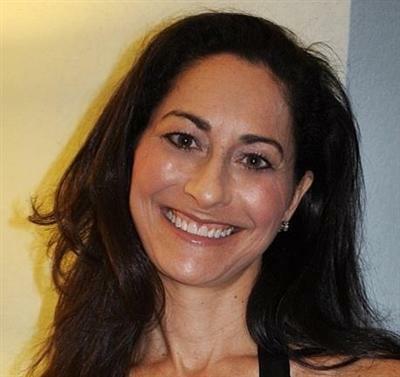 Over the years her practice has ranged from an alignment-based style as a way to find relief from chronic hip pain to power yoga to a home practice, but it was Ashtanga where she found her true home and received her RYT 200 at White Orchid in Clearwater, Florida. Liz is passionate about the power of yoga to heal the mind and body, and continues to be amazed that no matter how many times a posture is practiced, one slight adjustment can change it exponentially. She is thankful to have the online yoga community of YogaUOnline as a place to share her passion and learnings with others.